This article originally appeared on HotelBusiness.com. AUSTIN, TX — A new app is helping hospitality managers keep a better tab on their front-line performance, providing greater visibility into their operations. 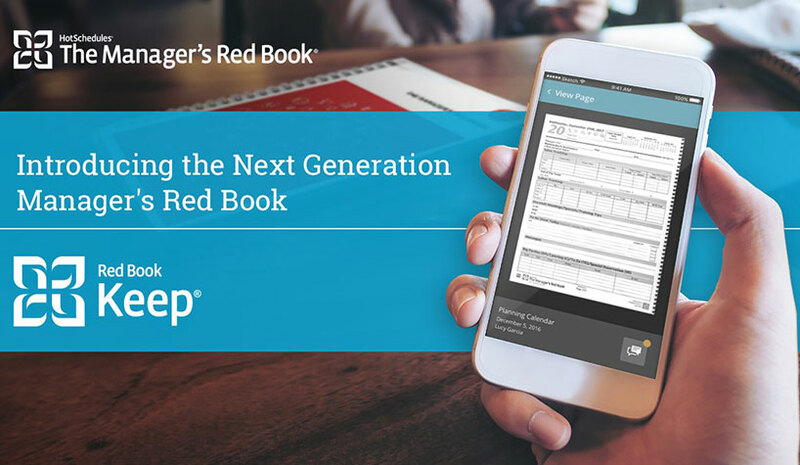 Designed to complement The Manager’s Red Book used by hoteliers, the Red Book Keep App is the newest product in the HotSchedules lineup of workforce and back-office solutions for the hospitality and retail industry. As optimal performance is critical, time and technology have evolved the old-school communications log into robust day-to-day business management systems. The new app aims to help hoteliers maintain high levels of service, as well as improved shift-to-shift communication and increased employee accountability—all in one central location. The app is free to download and easy to use, according to Frengillo. It is bundled as a package with The Manager’s Red Book. “If you can take a photo and text on your phone or tablet, that’s all you will need to get started,” he said. Among the company’s hundreds of clients is a mix of hotel, restaurant and retail, such as Colwen Hotels, Aloha Hospitality, Crave Hospitality, Red Mango and Sonic.